Call Garey Simmons to see if we can help you verify and optimize your Google My Business listing to get you more leads, more phone calls, more conversions, more revenue, more profits. We are adept at making the GMB page work for you. 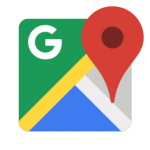 Get Google Map Results And Stay On The Top Of The Local Listings. Have A Seat On The Top 3 Local Results On Google Maps. published 3 national newsletters, you should have enough signals to get to the top of Google in local search which includes Maps. This may be enough! And you won’t need the magic sauce. If you have done all this but are in a highly competitive arena, then you need more social signals for authority and credibility. We can provide that with “link juice.” These are basic Google SEO techniques that are “approved” actions and in compliance with Google’s terms of service. In the SEO world, there are many “gray” hat and “black” hat techniques that will get your website banned by Google or added to a demoted list of websites. This means you will not show up… furthermore you steps have to be taken to safeguard your rankings from injected malicious software. It’s a jungle out there, but if you want to rank at the top of the local search. Then, you have to take the right steps to get there. Garey Simmons here, from Local Vocal Marketing. We are a company based in Maryland and we help companies like yours get found online, easier and more often. We are specialists in what we do, and we do what we are focused on at an affordable price for local businesses. I’ve helped many companies to get more clients and appointments from online sources by optimizing their digital presence on the net. The picture you see here is called a Google My Business listing page or information panel. You need one and you need to keep it updated. You see, everyone is carrying a “smart” phone around and if a person looks for your service, we want them to find your company. We have specific ways to do this. Google says about this: “Google My Business connects you directly with customers, whether they’re looking for you on Search, Maps or Google+.” The issue is this. I’m guessing you want as much free exposure for your business as possible, right? You want people to find you on maps, online search, YouTube, Google Properties, and more, right? If your listing isn’t claimed and setup correctly, this reduces where you can be found online. If you are not in the top 3 of local search it means another company is and that means they’re getting calls from search, not you. My business is helping businesses like yours. I have a complete Google business service, which I’d be happy to tell you about. If you decide that you’re interested in this, let me suggest a no obligation, 15 min phone call. No pressure. No sales hype. I’m not a sales person. I’m an internet technical consultant that helps businesses like yours. To contact me, just call (443) 852-1000. I look forward to speaking with you! If you are not happy with your current marketing, let’s have a consultation to see if we can help.